Crabbing in bays along the Oregon coast continues to be slow, ODFW said. But ocean crabbing has been a bit better. Bay crabbing has been affected by recent rains, which decreases the salinity levels. That should pick up as summer progresses, ODFW said. Recreational crabbing in the ocean is open along the entire Oregon coast until October 16. ODFW reports an average number of legal-sized Dungeness crab per person in various ports along the coast. Clamming has been pretty hot along Clatsop beaches – which stretches from Seaside to Warrenton (but likely does not include Cannon Beach). It improved in April, according to ODFW. ODFW said that harvesters should be on the beach one to two hours before low tide and should pay close attention to the surf forecasts. If the forecast calls for combined seas over 8-10 feet, razor clam harvesting can be very difficult because the clams tend to show much less in those conditions. Look for a minus tide and combined wave heights of less than 10 feet. An east wind will help knock down the swell; likewise a southwest wind will make surf conditions worse for clamming. 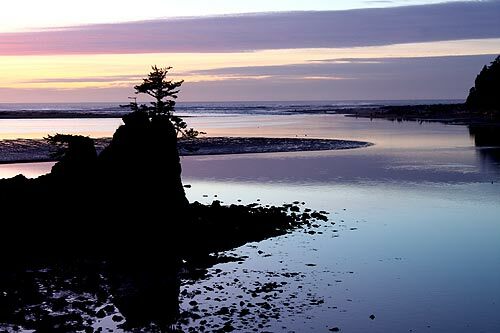 Luckily, a nice series of really low minus tides is in full swing now along the Oregon coast, happening in the mornings. 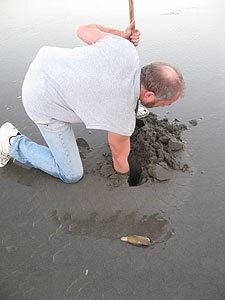 ODFW reminds you to never turn your back on the ocean when clamming. 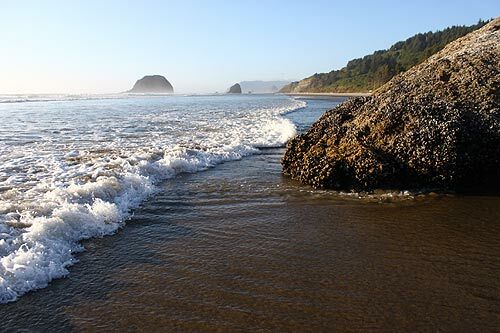 Currently, all of the Oregon coast is open to shellfish harvesting. ODFW does not recommend eating whole recreationally harvested scallops, however, as these can be affected by toxins. 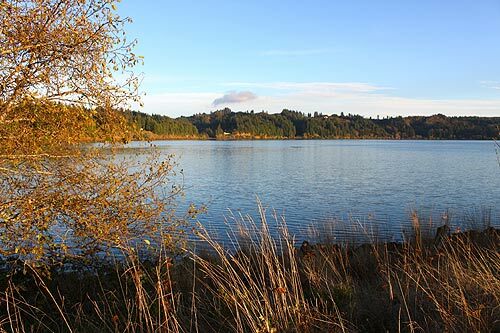 The Oregon Department of Agriculture's shellfish safety hotline is toll free and provides the most current information regarding shellfish safety closures. 1-800-448-2474. Keywords: crabbing, clamming, cape kiwanda, seafood, Pacific City, Cannon Beach, Yachats, Depoe Bay, Newport, Lincoln City, Oceanside, Astoria, Oregon coast, science.